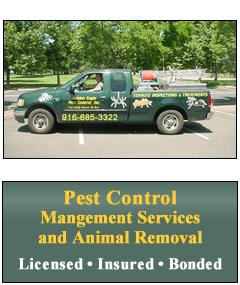 Golden Eagle Pest Control provides termite pest control services throughout Galt, and northern California. Tim Russell is an owner-operator licensed termite pest control company, who understands the importance of fixing termite issues before they cause major structural damage to your home or business. If you are buying a home in Galt, let Golden Eagle Pest Control perform a termite inspection to check for these pests. Termite inspections are a valuable tool to protect your investment, plus we can provide a comprehensive termite treatment if termites are present. Golden Eagle Pest Control, has provided more than 100,000 applications in a safe manner and with over 20 years of experience, plus an education in Entomology, we are experts in termite and pest control services.